Live on the Trilogy Golf Course. Are you an avid golfer and want to spend your free time on the golf course? Trilogy Golf Course may be the place for you. This over 55+ community was built in 2004. Located in La Quinta near the base of the Santa Rosa Mountains, this daily fee 18-hole championship golf course was designed by architect Gary Panks. The course design lends itself to the natural terrain and vista views overlooking the Coachella Valley. At just under 6,900 yards from the championship tees, the course offers challenge and enjoyment for all skill levels. The five sets of tees assure a course length that will fit your game. In addition to the great amenities offered at the Santa Rosa Club, there is also a full-service restaurant on-site at the golf clubhouse, Azul Restaurant & Bar. To find a home in La Quinta, go to luxury-homes-for-sale-in-la-quinta-ca or call me directly to discuss your individual needs like a pool, course or lake view property, single family home, detached guest unit or townhouse and condo. 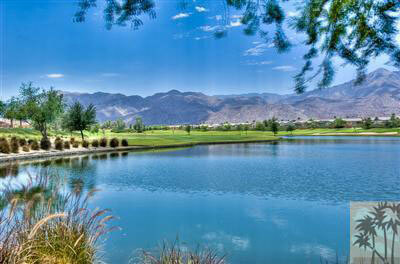 As your La Quinta real estate expert, I look forward to helping you find your dream golf course home.